How to keep going after the recession. Ben Bernanke, the former head of the Federal Reserve, said the 2008 financial crisis was the worst in global history, surpassing even the Great Depression. His statement is raising eyebrows. While the “Great Recession” was scary, there’s a reason it wasn’t dubbed a depression: Bernanke’s aggressive policy response. “Arguably, the financial shocks of 2008 were bigger than those of 1929. The outcome was not as disastrous because the policy responses were quite different,” said Jeffrey Shafer, a former Federal Reserve and Treasury official. What happened in 2008 is worth remembering. If you were like me, you were surprised by the turn of events, but maybe we shouldn’t have been. Without much business, I turned to Craig’s list to reach out. Six people showed up that week ages 23 to 70 with the enthusiasm of 40! We laughed, cooked, drank some wine and shared our stories. We vowed to help each other forge new paths. In our own ways, we were struggling. We had all come from successful careers, but 2008 had changed all of our circumstances. We listened, learned and offered advice. To this day, all of us except one remain close friends. When I got sick with cancer again in 2010, my new friends were around to help. it was the best piece of networking I had ever done. Whether 2008 was the worst or not, it definitely had an impact on most of us. I don’t know if what I was experiencing was a prelude to the recession but there were unsettling signs in my world. When “bad” things happen, there are those that stick their head in the sand and those that stay on course. For years, I saw business training declining in my industry. Several of my large customers were downsizing their employees, and it was obvious that something was happening to the consumer. I saw signs of a general “pulling back” and did very little about it. Could I have protected my investments? I don’t know. Large financial institutions were disappearing, and the mortgage industry was going crazy. My friends were losing their homes and their businesses. I didn’t lose my home or have to file bankruptcy. My mother’s recollection of the Great Depression has never left my mind. It produced a “scarcity mentality” that in many ways has infiltrated my decision making. The crash has left me with a new perspective about life and doing business. Times are still uncertain, and you don’t want to be on the receiving end of another disaster. Take these tips and weave them into your own life. 1. Stay in touch with the world. 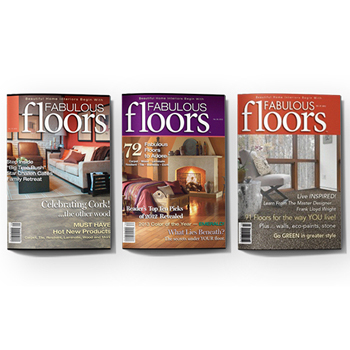 There are so many ways to get information these days; don’t ignore trends and what’s going on. Keep yourself and business “as cash rich as you can. Want to make an investment? You can buy a house, fix it up and resell it. Real estate still works. 2. Make your new motto, “change.” The world is moving faster than ever, decide you will go with it and not get in the way! 3. Learn how to network in this day and age. I’ve never been interested in working at the community garden but will teach customer service skills to not- for- profits and small businesses for free. I find it’s better than going to networking events. I keeps me sharp and forces me to continue to read and strategize. 4.Become an avid reader and follow successful people. Like me, many people ignored the signs of the crash. Is there something you are ignoring now? Ask questions, find out what is going on in your community and be part of it. 5. Learn everything you can about your customer. Are you going to training, taking classes and getting smarter? One short book to read is “ZMOT: The Zero Moment of Truth.” It’s Google’s rendition of what the customer is doing. Who knows more than Google? Are you interested in a two day seminar: Sales and Product Knowledge/Design? 9/23-9/24, 2014 Burlington, Vermont. For more information and to sign up, go to Mohawk University. 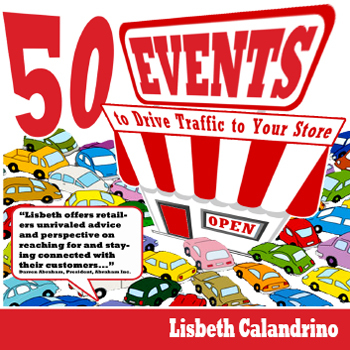 Lisbeth Calandrino is an award winning trainer, entrepreneur, and blogger and has spent over twenty years developing custom tailored marketing and customer service programs for businesses. 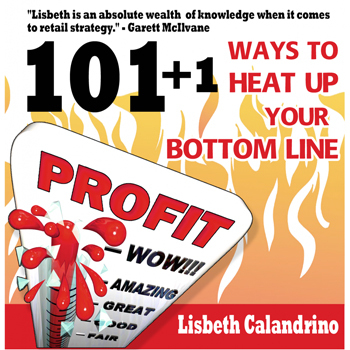 Her recently published book, Red Hot Customer Service, 35 Sizzling Ways to Heat up Your Business and Ignite Your Sales defines the steps necessary to build a competitive advantage and turn great companies into unforgettable or red hot companies. Lisbeth admits that much of her knowledge came from her Italian grandfather who despite very little formal education and a limited English vocabulary, managed to became both successful and wealthy. Lisbeth has wonderful stories about Grandpa DiBiagio’s and her time spent learning how to managing Grandpa’s fruit stand. Because of Lisbeth’s experience as a business owner, having been the managing partner and owner of 7 furniture and carpet stores for 14 years, she is able to bring her extensive business knowledge and experience to all of her clients. Lisbeth’s awards include executive of the year award from the International Executive Association, Albany chapter (a business networking group) and first place honors in an international marketing contest for alternative medicine. A two time cancer survivor, she has spoken extensively about her experiences of cancer, offering words of comfort and inspiration. As an activist, Lisbeth has initiated and contributed to many charitable causes. She has worked with at-risk youth, spoken out against injustice and advocated to and helped to build resources for women. 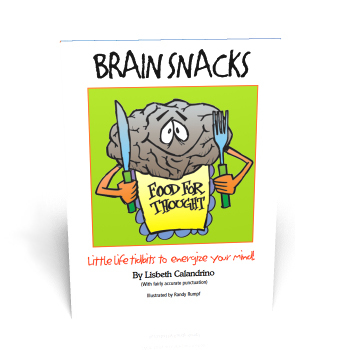 As a presenter, Lisbeth Calandrino is highly motivational, information-rich, and very entertaining. Her acute business sense, contagious enthusiasm, positive energy and fun sense of humor make her a dynamic presenter. Lisbeth is a member of New York, Historic Albany Foundation, educational director of Business Referrals Networking Group and member of the board of directors of the Animal Protective Foundation of Scotia, New York.